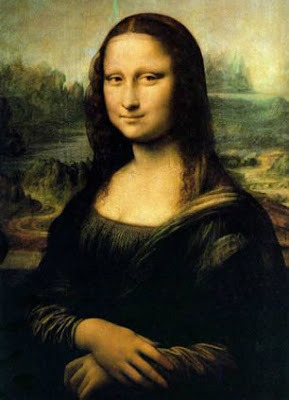 In Leonardo Da Vinci's original Mona Lisa, the painting's subject stands quietly alone, hands folded, with that famously enigmatic smile gently playing around her lips. 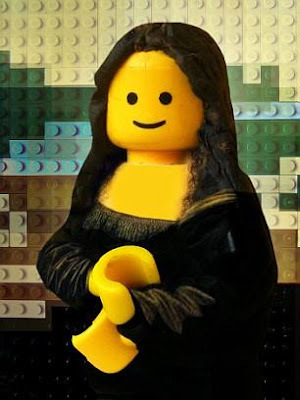 But in a bizarre new version of the timeless masterpiece - made entirely out of Lego - the expression has become a cheerful smirk while her carefully shaded skin tone has been replaced with a uniform sheen of yellow. 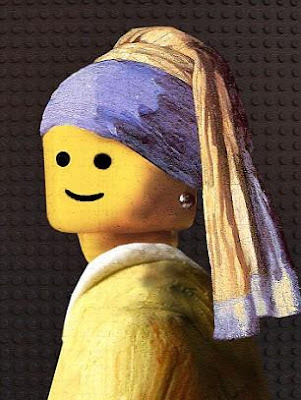 This rather odd take on the classic artwork is the idiosyncratic hobby of Italian artist Marco Pece, who uses the iconic plastic bricks to recreate versions of the world's great paintings. 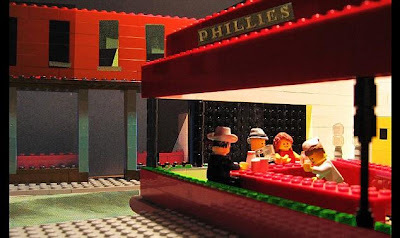 But whether his creations do justice to the originals or not, the former banker has become an internet hit with his instantly recognisable Lego versions of the classics. 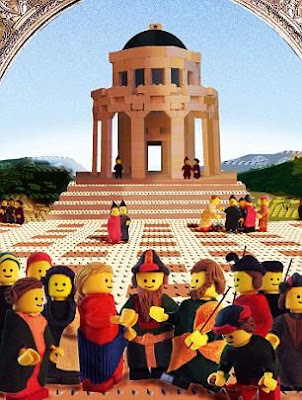 Tens of thousands of people from around the world have viewed the modern interpretations of the classic works made out of the simple plastic bricks. 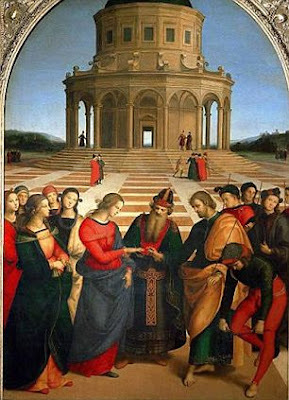 He posts his work on Flickr under the pseudonym Udronotto. The former bank worker has recreated Da Vinci's Last Supper, with Christ and his disciples suitably attired and bearded. 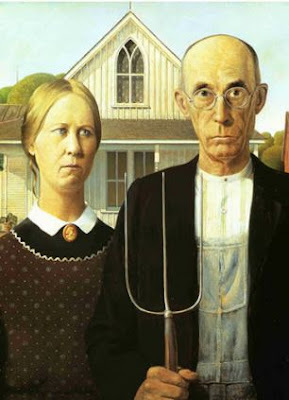 While he has done his best to capture Mona Lisa's famous enigmatic smile his use of the distinctive yellow-faced Lego characters to recreate Grant Wood's American Gothic is considerably more effective. 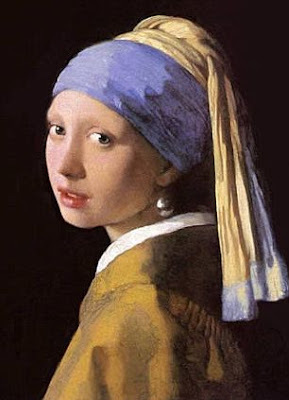 Marco, 45, has also redone Vermeer's Girl with a Pearl Earring and Edward Hopper's Nighthawks in his own inimitable style. But Marco has also come right up to date by recreating contemporary Scots artist Jack Vettriano's Bluebird classic, complete with a Lego car. 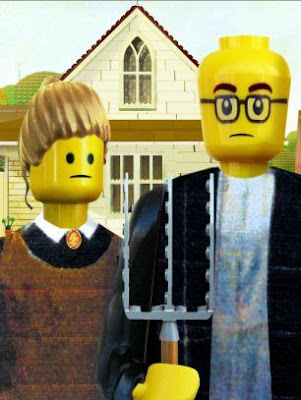 The artist gave up his job in a bank three years ago to concentrate on his Lego interpretations of existing masterpieces. 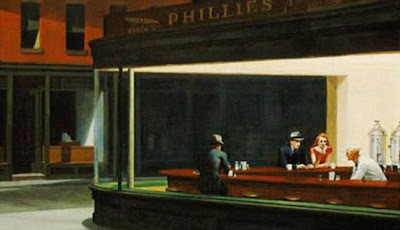 He said: 'I wanted to combine my love of art with a modern and unusual expressive technique. 'These reconstructions are done with a lot of attention to detail using Lego materials. He added: 'A reconstruction in Lego usually takes me about nine days in total. 'I have taken part in five exhibitions and have sold several photos of my work and this is because of the success I've had on the web.